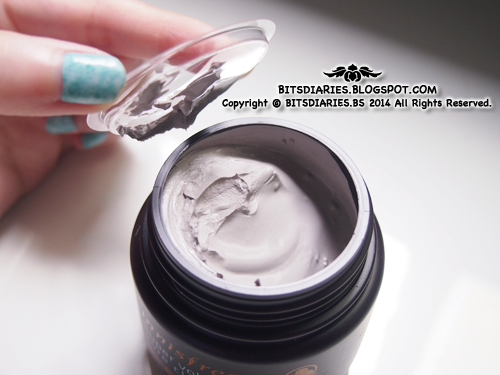 The jar of clay mask is packed in a cube-shaped box made of recycled paper. 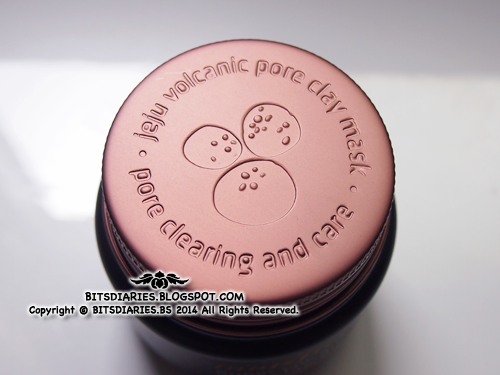 The lid has the words "• jeju volcanic pore clay mask • pore clearing and care" being molded on the lid's surface. 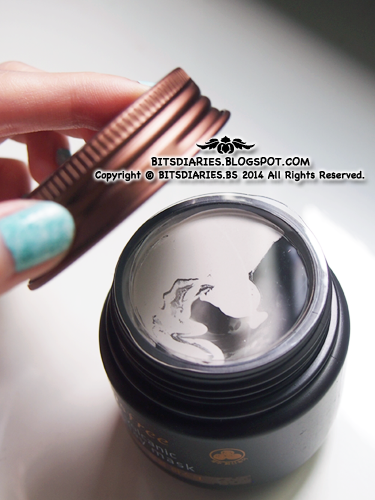 The jar itself is made of plastic with an aluminium screw-off lid. Once opened, there is an unsealed plastic cover covering the opening. 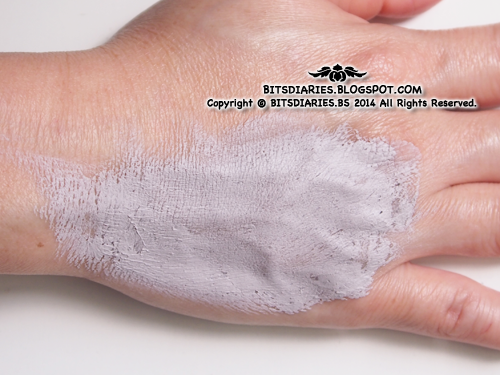 The Super version has a pinkish-greyish, soft creamy clay texture but it's thicker than the Original version. 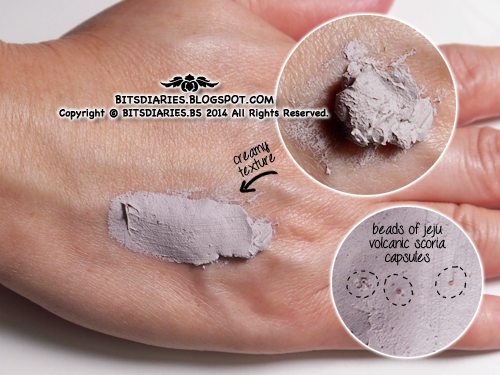 Unlike the Original version, this contains Jeju volcanic scoria capsules .aka. little exfoliating beads, which are barely noticeable by the eyes but you will be able to feel the beads during application. Apply adequate amount on desired area and leave it on for 10 minutes. After 10 minutes, massage and rinse off with lukewarm water. Ta-dahh~! Can you see the difference? 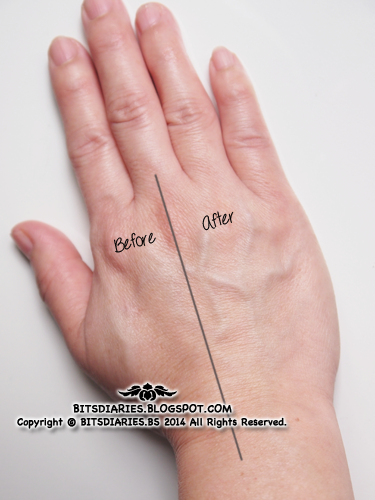 The area, where the mask was applied, literally brightened up and felt softer and smoother! Say BYE to dull skin complexion! 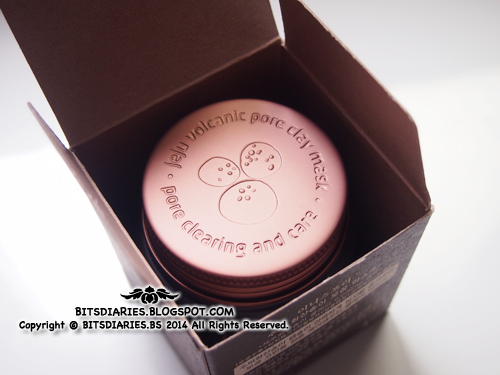 Just like the Original version, this does not have an artificial scent but it does have a pure natural clay fragrance. 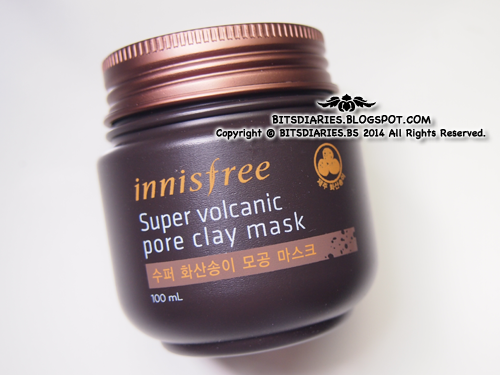 - the formula — "4-free"
Verdict: This Innisfree Super Volcanic Pore Clay Mask sloughs off dull dead skin cells and deep cleanses the skin, leaving skin looking brighter, supple and clean. It also helps to control sebum production and minimize the appearance of enlarged pores. 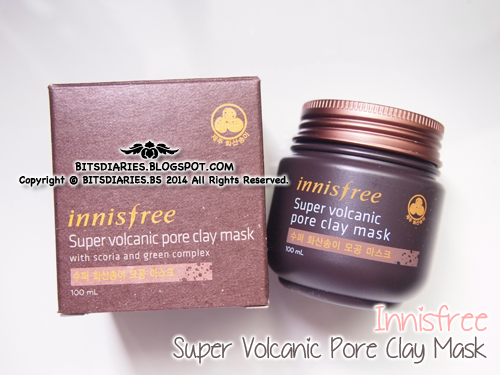 Compared to the Original version, this Super version contains Jeju volcanic scoria capsules and DOUBLE amount of Jeju volcanic scoria/clusters thus, it is more powerful in purifying the pores and controlling sebum production. In my opinion, it may be drying for dry skin user. As I have combination skin (oily + dry skin), I use it every once two weeks. Besides that, Super version gives a refreshing, cooling, minty sensation upon application. It feels even more icy cooling during washing off (= SHIOK! ). On the downside, this does not remove my blackheads as claimed and also does not come with a spatula. I extremely hate dipping my fingers in to scoop out the product. I find it unhygienic! I'm glad I owned several spatulas at home. For those who do not have a spatula, you can use Q-tip to scoop out the product. All in all, both versions are good pore clearing masks and absolutely perfect for hot summer season. In my view, the Super version is more for oily to combination skin, while the Original version is more for normal to dry skin. I highly recommend you guys to try them out! Thank you for review, i think i wanna try this one. I'm still confused what's the difference the original and this super version, but thank you because your review help me to choose one of them, because i have oily-acne prone skin. Do I use the pore toner first or the clay mask first after washing my face?